Reality TV. You either love it or absolutely hate it. Fan or not, however, everyone must admit that the boost to a singer’s career from appearing on reality TV has the potential to be enormous. Some classical singers consider reality TV a sellout, especially for singers who attempt to sing pop songs on American Idol. Others see any form of publicity as good. But every year, thousands of hopeful singers, many with classical training, take their chances in mass auditions, hoping to be one of the lucky few selected for national exposure through the magic of television. American Idol is the show most people think of when talking about reality TV for singers. Part of the ‘Idol’ franchise, American Idol originated from the reality program Pop Idol that British entertainment executive Simon Fuller created and which first aired in 2001 in the United Kingdom. American Idol is hugely popular and is currently auditioning for season eight. As the name of the British show more clearly describes, the program is focused on finding the next pop sensation. The singers who make it through several auditions have the opportunity to sing in front of the “judges” who decide whether to send them to the Hollywood round. The Hollywood round winnows the contestants down to the top 24 who then perform weekly for the television audience. During this final phase, the viewers get involved. Their votes determine who goes home each week until just one idol is left standing. Classical singers have not yet had a strong impact on American Idol. Many singers picked for the show have had classical training, yet most have chosen to sing only pop music in the competition. In season four, Briana Davis sang a very high version of ‘Phantom of the Opera’, and in season six, Rachel Zevita sang pop and opera. Both girls gathered fans and made it to the Hollywood round but were cut before the top 24. 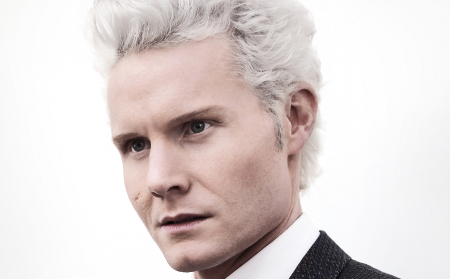 This year in the UK incarnation, a young baritone, Rhydian Roberts, finished in second place on X-Factor (which replaced Pop Idol), singing songs recorded by Josh Groban, Il Divo, and other ‘popera’ favorites. He didn’t win, but he is currently working with Simon Cowell on a new album. Roberts’ success could inspire American singers to follow a similar path. 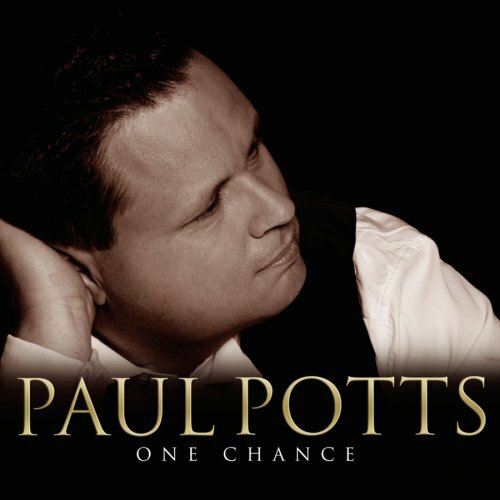 The best known opera singer made famous by reality TV so far is probably the ubiquitous Paul Potts, winner of Britain’s Got Talent, season three. Paul’s audition song, the tenor warhorse ‘Nessun dorma’ introduced many to opera for the first time. He is currently enjoying an international recording and performing career. As of this writing, three opera singers have worked their way into the top 40 of America’s Got Talent, season three: Neal E. Boyd, Michael Strelo-Smith, and Shequida. Additionally, tenor Donald Braswell has a chance to be asked back to AGT as a wild-card contestant. With this many opera singers in the competition, it looks like classical singing may finally have a chance to be heard on reality TV. America’s Got Talent is a throwback to the variety show format and features a wide range of acts, such as jugglers, dancers, impressionists and, apparently, opera singers. By the time this article is published, we will know how these classical singers fared on the show. Some may point out that none of these singers is singing at the Met or La Scala. It may be expecting too much for these types of shows to elevate opera to that level. Many singers may find the classical music on these shows too diluted for their personal tastes. Others may find the entire process demeaning and possibly emotionally abusive. Reality TV shows love drama and they can push contestants to unbearable levels of stress and tension, all in the name of “good TV.” Singers really must know what they are signing up for when trying out for these shows. Clearly, it is not for every classical singer. Reality TV shows and talent-based contests are springing up everywhere. American Idol and America’s Got Talent are the biggies, but other reality TV shows pick new Broadway stars (Grease: You’re the One that I Want) or look for talent in a specific region (Gimme the Mike). Each show has a different format, style, concept, audition process, judging, voting, and age limits. Don’t wait to be surprised. Find out what each show is looking for and how well former contestants are doing. Most reality TV shows have websites with information about audition venues and rules. Both of the big ones (American Idol and America’s Got Talent) require singers to sing a cappella for only 90 seconds in the early rounds. The judges can stop singers sooner or may ask for a second and sometimes third selection. You must be compelling and get to your strengths right away. This goes without saying for most singers but with reality TV, it moves up another notch. TV is such a visual medium. Study each show to learn its focus and style. Practice with your outfit, sing in front of the video camera and see how well it works on the small screen. Everyone who auditions has to fill out an extensive application full of interview questions. Have you had any special challenges or setbacks in your life? Reality TV loves inspirational and/or emotional content. Human-interest stories are a big part of these types of shows. In addition, be able to describe your talent and explain how you are unique. When you audition, you must also sign a contract giving the show the rights to your image and voice. Be aware that the contract also gives the shows permission to use that material any way they choose, whether it is truthful or not. The video editor has all the power. The audition contract is often available on the Web as well. If so, read it before you go. This is a TV show not a talent competition. The people who find talent for these shows are called ‘casting’ producers. They are often looking for certain ‘types’ to cast as the characters they have in mind for the show. This means that if the show does not choose you to advance, it wasn’t necessarily because you weren’t good. You may just not be what the casting producers are looking for that year. Last fall, a casting producer for America’s Got Talent approached me through my MySpace page, offering me an audition. After I got over my shock, I e-mailed her and she answered my questions. I could get a scheduled audition (vs. going to the large public auditions) if I could send her a picture, my contact info, answer some questions, and upload a video of my singing. I did what she requested and several e-mails later, I had a scheduled audition time at the city of my choice. Not really knowing what they wanted from me, I decided to bring three different songs of different genres. I brought an R&B cover, a pop ballad, and the high-F section from the Queen of the Night’s ‘Vengeance’ aria. My actual audition was one of the smoothest I’ve ever done. Everyone was polite, organized, and on time. During my audition, they asked me to stand on a red X so that the cameraman could film my audition. I gave the two producers my song list and they chose the R&B cover first. They asked for opera next and then requested a few seconds of the pop ballad. After listening, they thanked me and asked if I considered myself mostly an opera singer. Since I’ve sung other styles professionally, I said ‘no’ and explained my background a bit. They said they would be calling people for callbacks in about a month or so. When I didn’t receive a call I figured I didn’t make the cut. I decided to e-mail the original casting producer I had been in contact with to ask about my audition. She responded right away telling me that the executive producers chose not to send me through to the next round, but that they liked ‘my opera voice’ best and to please try out again next year. Now that I know what they want from me, I plan to do exactly that. Maybe I will see you there! As printed in the October 2008 issue of Classical Singer Magazine.